The day of February 17th, 2014 was just like any other for Richard Benn. Well, not exactly like any other day. He’d just retired after 50 years of service with the same company. Think about that. How many of us have been with the same company for half that long? Of course Ray Products, where Richard had been a pattern, and tool designer, was having a retirement party for him and he was very honored. Not just that he had been a part of such a great company for a half century, watching it grow, and working for 3 generations of the Ray family. But also that they thought highly enough of him to go all out with a taco truck, plenty of refreshments on hand and his favorite flavor of cake-chocolate. That day as he and his wife, Cruz headed over to the plant for the celebration, Richard was excited, but a little nervous. He was looking forward to celebrating with his fellow employees, but he wasn’t sure exactly what to expect. Would they give some kind of speech? Would they expect him to give some kind of speech? What Richard didn’t know, is that something remarkable was about to happen. 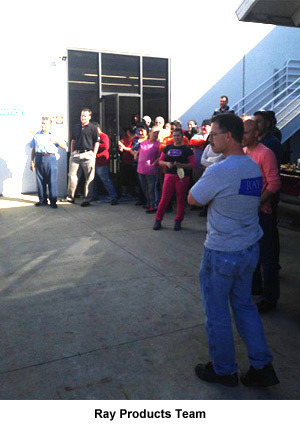 Brian Ray, President of Ray Products, had Richard come up in front of the group. He handed him a small box. Richard opened the box to see the glint of something silver inside. He was a bit confused and when he reached for the object inside he saw that it was a keychain. This was even more puzzling. Richard is a pretty unpretentious guy. In addition to working at the same company for 50 years, he lives a pretty modest life, and owns an old truck with nearly 300 thousand miles on it. He’s not exactly into flashy things. So the fact that his employer who had known him for so long would get him a silver keychain seemed….a little strange. And then Dan Sweet, Vice President said, “Richard, why don’t you come on outside and we’ll see if we can put something on that.” Richard was a bit nervous and confused by the whole thing and he had no idea what Dan meant. As they walked out the back door of the shop, things became a lot more clear. There in the middle of the parking lot was a brand new 2014 Chevrolet Silverado, with a massive blue bow on the windshield. Richard stopped dead in his tracks. Dan got the truck from Mark Christopher Chevrolet. Ray Products and Dan have always had a great relationship with us, having gotten 7 vehicles for both personal and business use over the years. When Dan and Brian were talking about what they wanted to do for Richard, they decided to give Mark Christopher a call. Dan says, “Richard is definitely a General Motors kind of guy and that old Sierra of his has quite a few miles on it. Once we knew we wanted to give him a truck, we called Greg Hess (Sales) at Mark Christopher, and he got together with Nevin (Nevin Cordero-Manager). They thought it was a really cool idea and helped us make it even more special. Richard was vacationing in Lake Havasu when we talked to him and we asked him what he thought of the truck, and what his favorite feature was. He thought a minute and said, “I’d have to say the technology stuff; OnStar, the great stereo, Bluetooth. I haven’t figured out how to work everything totally yet, but it’s pretty cool. 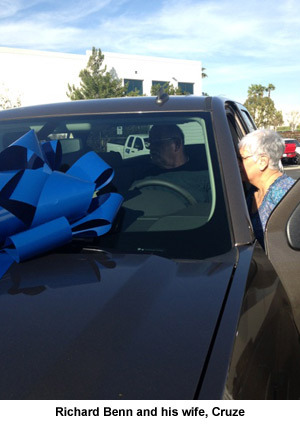 Mark Christopher Chevrolet loves being a part of big moments in people’s lives, like this one. 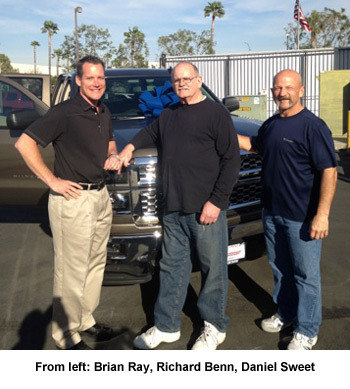 We’re thrilled that we could make Richard’s retirement so memorable, and we try to make car and truck buying an unforgettable experience for all of our customers. Congratulations, Richard Benn! You earned it. And it’s YOURS! We promise. Not only does this contest encourage students to stay in school, show up and contribute every day, but also raises a ton of money for area schools, which get federal dollars for every kid who is in school. Since its inception, Cool To Stay in School has raised over 1.5 million dollars for schools. That money can be used for everything from facilities, and computer labs, to extracurricular, and after school activities. This year, we partnered with Los Oslos and Chaffey High Schools. All students with perfect attendance were eligible to win. And the incentive is amazing! Every kid with perfect attendance gets a Cool To Stay In School T-shirt, and is entered in a raffle to win tons of great prizes from iPads, iPod touches, Xboxes, and a flat screen T.V. to Dodgers tickets, and $100 gift cards. Of course the grand prize is the most compelling; one lucky kid will win the all new 2012 Chevy Sonic! Oh, and in case you were wondering, Mark Christopher pays the taxes and license as well. Los Oslos had 223 kids with perfect attendance and Chaffey had 124. What an accomplishment! So back to the big day. 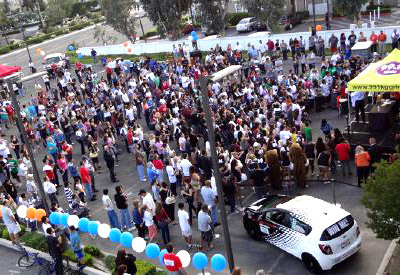 On May 16th we had over 1,000 people show up at Mark Christopher Auto Center. KGGI 99.1 was on the scene with some great music, and we had tasty food and refreshments for everyone. After the all of the prizes had been given away, other than the grand prize, 5 lucky kids were called to the stage to see if their key would be the one to start the Chevy Sonic. Well it didn’t last for too long. Our winner was the third key tried and Leslie Flores, a freshman at Chaffrey High school, was the lucky gal to drive off of the lot at the end of the competition. Actually, truth be told, her parents had to drive the car home-Leslie is only 15. Earlier that day, Leslie’s dad came home from a long day at work, tired and didn’t feel like going to the event. Leslie was able to talk him into it, and so he, Leslie and her mom hopped in the car and came over. And boy, are they glad they did! Her parents were so incredibly proud of their daughter that they cried when she won the car. The other kids didn’t come away empty-handed, with each of them winning a $100 gift card. What a great night for everybody! We had a fantastic list of sponsors that we will post a list of. This incredible event could not have happened without them. The Mark Christopher team is so proud to be a part of this event, and also honored to know that our efforts, the dedication of the schools and mostly, the hard work of these kids pays off now and in the future. Devoted, enthusiastic young people make successful, productive adults. As long as we are a part of this great community, we will do whatever we can to make an impact, and help make this just about the best place to live there is. In our humble opinion, Mark Christopher Auto Center has the best customers on the planet. And while we have had a lot of great ones over the years, we have a special place in our hearts for our repeat customers. It means that we did our jobs so well, that someone trusted us enough to come back and see us again. Much of our business comes from people who buy 2, 3 or even more vehicles from us. Well, we would like to take this opportunity to give special recognition to 2 of our most loyal customers; Rich and Virginia Riley. They have purchased or leased 17 cars from Mark Christopher over the years! To say that Virginia is a bit uhhh….fanatical, would be an understatement. She likes what she likes. And since the early 80s she has leased 7 Corvettes from Mark Christopher. All 7 have been red. Rich and Virginia have lived in the same house for 32 years and that has given Virginia the opportunity to outfit it properly. Not only does she own an astonishing amount of figurines, but they have all Disney silverware, salt shakers, tablecloths, and trivets as well. 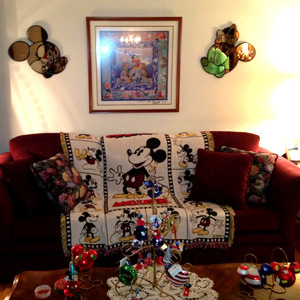 When you enter certain rooms, you will get Disney music by simply switching on a light, and if that is not enough Disney music, you can hear it from any one of over 100 music boxes. They even had their front door replaced with a huge stained glass likeness of the Kingdom’s Main Mouse himself! Rich and Virginia both worked for the Ontario-Montclair School district, with Rich serving as an assistant principal and Virginia as an administrative assistant. They met one summer in 1980 at the school district administration building and have been inseparable ever since. Originally, Rich had a passing interest in cars, and as you can imagine, Virginia was passionate about them. Corvettes mostly, of course. Shortly after they were married, they joined a local Corvette car club, and started frequenting car shows, and that’s where they met Mark Leggio, from Mark Christopher, and a beautiful relationship started. Rich says, “Yeah, we went in there and leased a car from them, and they treated us so well, we have been working with them ever since. They are close to where we live, but the main thing for us is the customer service.” Rich and Virginia have been well taken care of by several members of the Mark Christopher team throughout the years, including; Mike Bash-who has been with Mark Christopher for all 23 years, and most recently, Greg Hess, and Nevin Cordero. In addition to Virginia’s Corvettes, Rich has gotten a couple of Oldsmobiles, but has since settled on Cadillacs, with those making up his last 5 leases. Virginia and Rich are both retired. 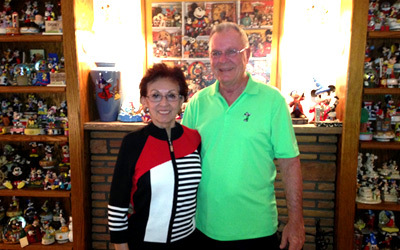 When they are not together, Rich likes to play golf, and Virginia teaches body conditioning, and is a member of Soroptimist of Monclair/Inland Valley. Soroptimist is Greek and translates to “Best for Women,” and the club works to improve the lives of women and girls, who are often less fortunate, or in difficult situations. When they are together, which is a lot, they like to drive to Santa Barbara, Palm Springs and of course Disneyland. While the Corvette is cool, the Caddy works a little better for long road trips. Being Annual Premium Pass holders for 30 years, they get to the Magic Kingdom about 25 times a year, and as you can imagine, they like to go fast. Space Mountain, and the Matterhorn, are two of their favorites. Of course, they also like the “Cars” ride quite a bit. 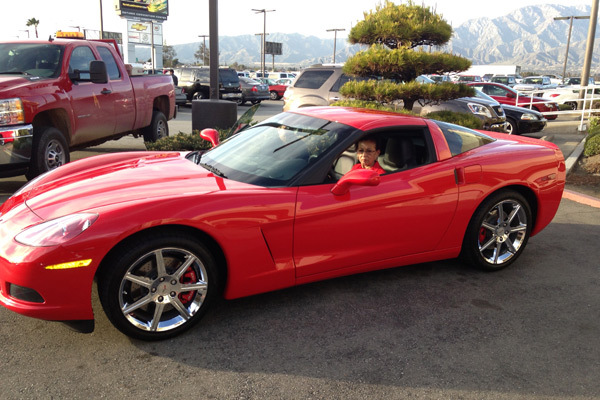 So we asked Rich the question: Do you ever get to drive the Corvette? He just laughed and said, “The only time I get to drive her car is down to get gas and back. Alan Martinez (contest winner), Sharon Borgo-Finance Director, Loretta Holtz-CFO, and Robert Chaillou-resident of Cedar Villas. Alan Martinez didn’t have any grandparents growing up. Now, he has 136. Kimberly Coleman and her brother, Patrick. Alan is the well….the let’s see…The leasing coordinator, the maintenance coordinator, the party planner, part time transportation officer, grounds patroller, and even weekend chef, at Cedar Villas Senior Housing Center in Ontario. You could say he wears a lot of hats. Last Friday, he was minding his own business, planning for the annual Thanksgiving party, when Kim Coleman, his leasing agent, told him “not to buy any food for the party yet.” When Alan asked “why?”, she told him that she had entered him in a contest at Mark Christopher Auto Center, for a $500 gift certificate to Stater Brothers Market. “You never know…” Kim said. Kim had bought a car from Mark Christopher, and was a fan of the Facebook Page, where she saw the contest. Well, the next Monday, Alan got a call from Nevin Cordero at Mark Christopher, and guess what!? Needless to say, Alan was excited especially, as the resident party planner. Cedar Villas has many parties and resident events throughout the year, and always does something for the holidays, but now, not only were they going to be able to afford a bit more food for the upcoming Thanksgiving get together, where normally, they are able to have 40 or 50 people and their families, now they could have 70! This year, they were able to have 5 turkeys, mashed potatoes, stuffing, pumpkin pies, and plenty of refreshments for everybody. Not only that, but they were able to put together 20 plates for seniors who are confined to their homes and not able to make it down to the center. At the center, Alan makes sure that there are plenty of activities to keep the seniors entertained; everything from bingo, and movie night- with popcorn, snacks and sugar free drinks- to zumba classes. They even have a patio with grills outside for the summer months. And the feeling of community isn’t just within the center. As the residents age, they of course get a bit of assistance from the local fire department, and medical personnel. Well, the residents of Cedar Villas decided it was time to give back, and took pizza, soda and ice cream, and a couple of pies to the station. And great news! Alan still has some of the money left over from Thanksgiving, and will be using the rest of the funds for Christmas, and New Year! So, it looks like more fun and festivities are on the way for the residents of Cedar Villas! We’ll try to get some photos and put them in our blog and on our Facebook page too. Commitment to community. A lot of businesses talk about it, but we here at Mark Christopher try each and every day to show it. We are so proud to have been a part of making the holidays a little brighter for the residents of Cedar Villas, and to deal with a guy like Alan, who gives so much of himself to make the lives of over 136 residents better and happier during the holidays, and every day they spend there. Happy Holidays from Mark Christopher Auto Center. These are the words of Chris Leggio, one of the owners of Mark Christopher Auto Center. It just makes sense. Something so simple, yet it was actually the first time that I had heard it. Now it is not that “Customer Satisfaction” wasn’t the very next thing out of his mouth. It was. In a business like the automotive industry where you can go into a dealership and often see different sales staff from one week-one DAY- to the next, and the average employee tenure is somewhere along the lines of a Hollywood marriage, it’s refreshing to see an owner, and a dealership taking a different approach. Mark Christopher has 20 employees who have been there for over 10 years, and 9 who have been there for over 20! No doubt, one of the reasons that Mark Christopher Auto Center is vying to be the #1 GM Dealer in California for the 3rd year straight. Mark Christopher has been family owned and operated for over 40 years. The dealership was originally started by Chris’ parents, Charles and Shirley, who purchased it in 1975, and named it after their sons-Mark and Chris, naturally. Originally, it was just a Chevrolet dealer, but has gone on to include Buick, GMC and Cadillac. Both Chris and Mark worked at the dealership growing up, in different capacities from washing cars, to working as techs and salespeople. How do you know that Chris is passionate about this business? Well, he’s tried everything else. While attending Loyola Marymount in the 80s, Chris was heavily involved in sports. Not playing, but as a commentator, and statistician. He worked as a public address announcer, and a color analyst for several sports, including baseball and volleyball. He also had an interest in law, and took some classes while at Loyola. Upon graduating, Chris considered a career in media, and even got some job offers, but the prospect of doing commentary for obscure sports in far away locales for peanuts, just wasn’t that appealing. He considered a career in the legal field for a bit, but in the end, he knew that his heart was in the automotive business. Shortly after graduating, he met his wife, Michele at a Cal State Fullerton graduation party for his cousin, Tom. They have 3 great kids together, and if you want to know what Chris’ other passion is, just talk to him about his family. His oldest son, Nolan is currently attending USC, at the Marshall School of Business, and has done an internship at a law firm. Erik, his youngest boy plays varsity volleyball, soccer, and runs on his high school cross country team. And then there is Nicole. Not only is she a fantastic soccer player, on the St. Lucy’s Priory team, but also, the prestigious Albion USA Soccer Team, and is ranked amongst the top 150 players in the nation. She also hopes to play on the U.S. Olympic Soccer Team someday. Chris would love to see any or all of them, join the dealership, at some point, but wants them to pursue whatever other opportunities they can, and make sure that- like him- they join for the right reasons. Chris’ wife works full time as a fitness instructor, teaching everything from pilates, to water aerobics and spinning. Mark Christopher’s “Cool To Stay In School” 2012! This journey began a long time ago for these kids. 9 months-virtually an eternity- for a high school student, to be exact. 9 months of sacrifice, going the extra mile, and doing whatever it took to show up, on time, every time for school, every….single….day. And now, after all that hard work, the journey was approaching the end. One by one, their names were called and they would stand up with their heart racing, and crowd cheering, trying to trust their legs, and walk down the steps of the stage and over to the ultimate prize; A 2012 Chevrolet Cruze. Theirs for the taking, except for one minor detail; That key. The one they had been gripping for the last several minutes had to work. Had to start the car. And one by one, they had to endure a huge groan from the crowd as the key spun in the ignition and….nothing. Couldn’t have written it any better. When the 4th contestant’s key failed to make the magic connection, Vanessa Martinez, the only one still left on stage almost fell out of her chair. She politely waited her turn, but she and 1,500 people in attendance already knew. She jogged down, inserted her key in and the sound of the starter turning the motor over and the sweet exhaust note was drowned out by the din of the crowd and a few excited honks of the horn by Vanessa! Mark Christopher Chevrolet does a lot of things in the community throughout the course of the year, but we would be lying if we told you that this is not our favorite. “It’s Cool To Stay In School”, now in its 5th year, has captivated our high schools, community and everyone at the dealership. Since its inception, “Cool” has encouraged over 1,300 kids to show up, and participate EVERY SINGLE DAY. This not only leads to a more engaged student body, higher test scores, and more kids being eligible to pursue higher education, but also for schools to take the extra funding they receive and use it to improve facilities, programs, and make these schools models for others in the district. Since the start, the program has raised $1.4 million dollars for schools. 1.4 MILLION! This year’s “Cool” contest was our best ever! With 533 kids qualifying from Rancho Cucamunga, and Montclair High Schools, an incredible list of sponsors, and an even more amazing lineup of prizes, we were able to give these kids the recognition they deserve. We had iPads, Laptops, Beats by Dr. Dre headphones, and Flat Screen T.V.s, not to mention Dodgers and Angels tickets and a ton of great gift cards. The event was covered by KGGI-99.1, and we had great food, refreshments, and raffle prizes. Every kid who qualified got a “Cool To Stay In School” T-shirt, and a gift bag. They all deserve a pat on the back for a job well done. On an interesting side note ALL of the kids in the final drawing were freshmen or sophomores, and none of them had their driver’s license yet. How awesome is it that these kids are developing such a lofty standard this early on in their high school career?! We will be checking in with Vanessa throughout the year, and once she has her license, we hope she will share with us some of the fun places she takes her new ride! Mark Christopher is so proud of these kids, and appreciative to the schools, and other sponsors that made this event possible, and can’t wait to work with 2 news schools to do it all again, bigger, better and cooler next year! Mark Christopher: Proving it IS cool to stay in school! When Greg Heath came to work at Mark Christopher Chevrolet, he had no shortage of new ideas. After all, he had worked for GMAC-the financing arm of General Motors- for 18 years, and had seen just about everything. But there was one idea in particular that he just couldn’t shake. 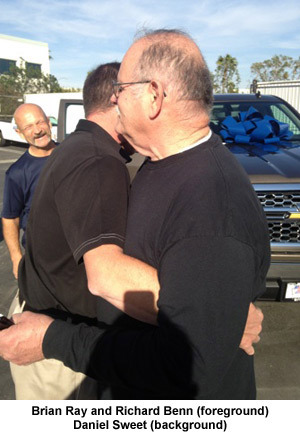 While visiting a friend at a dealership in Arizona, Greg saw something he would never forget. 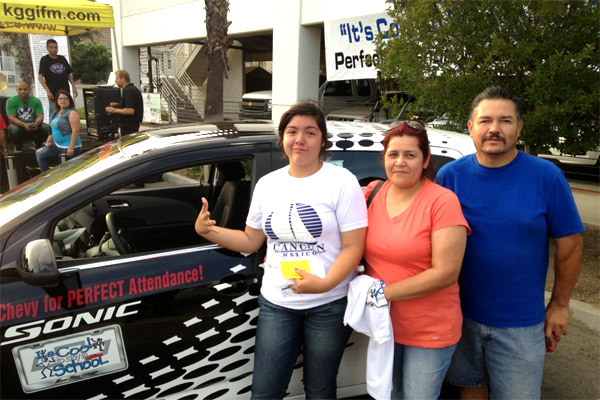 The dealership had partnered with GM and a local area high school to give away a used car to one of the kids who had perfect attendance that year- an impressive feat on its own. It was what happened next, that inspired Greg even more, and would have a huge impact on his personal and professional life. The boy who won the car was only 15 years old, and didn’t have his license yet. His family had fallen upon hard times, and were struggling to make ends meet. So, he thanked the dealership and the school, turned around and gave the car to his mom. To say that Greg and those in the crowd who were touched would be an understatement. Hardly a dry eye in the house. Mark Christopher has always been passionate about giving back to the community, and over the years has partnered with, and sponsored organizations from Habitat for Humanity, to the Avon Walk for Breast Cancer. But now, they wanted to do something a little different. California’s schools- like many across the nation- were struggling. Struggling to graduate students. Struggling to keep them engaged. Struggling to get them to even show up. That’s where Greg came in, and “It’s Cool To Stay In School” was born. Greg and Mark Christopher could not have known at the time, the tremendous impact it would end up having. 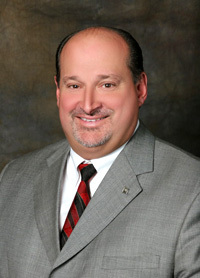 Mark Christopher partnered with Los Osos, and Chaffey High Schools. The year before the contest 2007-08, perfect attendance at Los Osos was 58. in 2009, the first year of the contest, perfect attendance soared to 139 kids. The attendance at Chaffey, went from 106 to 225. That’s 200 more kids showing up, and participating EVERY day, than the year before. 200! 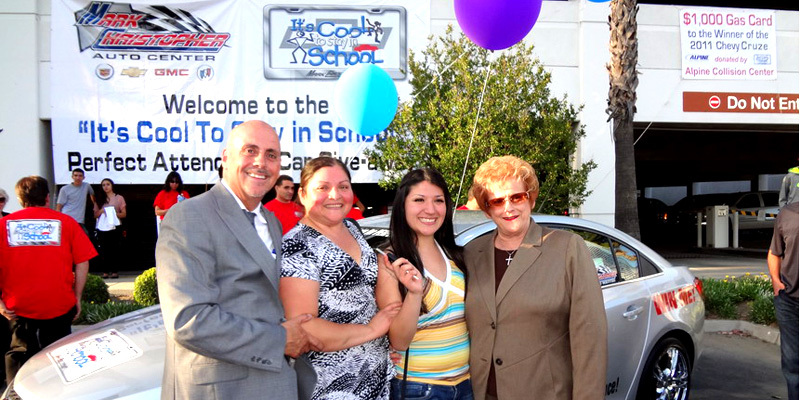 Mark Christopher gave away a 2009 Chevy Cobalt to a hard working, lucky girl, Kimberly Acosta. That first year had some great prizes for the other winners, but in the 5 years Mark Christopher has held the contest, it has only gotten bigger, and better, with even more impressive results. Last year the contest included Ontario, and Alto Loma High Schools, and perfect attendance from the previous year went up collectively from 127 to 373! Melissa Hedrick (pictured below) was our Grand Prize winner, driving off in a 2011 Chevy Cruze, with tax and license PAID. Of course the fantastic sponsorship for this event allowed us to offer an even more impressive list of prizes including Xbox 360s, and laptop computers, and tickets to Angel and Dodger games. This year will be our best EVER! You don’t need to be a math wiz to recognize the incredible impact that the contest has had on attendance, and you don’t need to be an education czar to recognize that more kids in school all of the time, leads to a stronger school community, better continuity, and learning retention in the class room. This in turn, leads to higher test scores, and more of these kids not only being eligible for higher education, but also appreciating the correlation between hard work and recognition, and maybe even winning some great prizes to boot! An added benefit is that when more kids attend, schools receive funding incentives. Mark Christopher has helped schools receive over $1.4 million dollars. These funds can be put to work improving facilities, providing better equipment, and put toward extra-curricular programs, creating an environment that is even more conducive to kid’s success. “The great thing about this contest, is that we have gotten an education too,” Greg says. “We have gotten input from the school district, kids, and been able to learn quite a bit about how we can help even more.” Mark Christopher has had their service personnel visit local high schools put on workshops, chaperone dances and really get to know the kids. Since “Cool’s” inception, 767 kids have achieved perfect attendance and that’s not even counting this year! 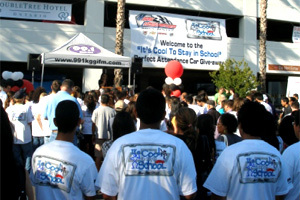 It’s Cool to Stay in School will include Rancho Cucamonga and Montclair High School. This exciting event will be emceed by KGGI -99.1, and we will have great food, beverages, deserts and more. Each eligible student will receive a free “Cool” T-shirt, a care package, and be entered into the prize raffle where they can win a great prize from baseball tickets, and gift cards to iPads, all leading up to the Grand Prize drawing for a 2012 Chevrolet Cruze! Mark Christopher Chevrolet, has always valued education, and community. We are proud to sponsor this event and give back to the community that has been so good to us over the years. Who knows? Maybe one of these kids will be president some day. Either way, we’re glad to do our part, and are proud of the hundreds of kids who are doing theirs.